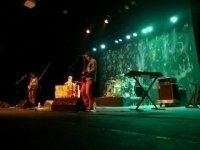 Best Coldplay Tribute Band were created in 2012. 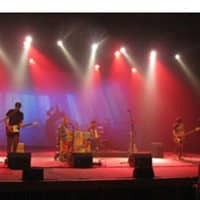 This band is the result of joining 4 musicians, their talent and their efforts to make a great, faithful and honest live tribute to Coldplay, Coldplay Tribute Band. The band comes from Spain, where they started making its name bigger and bigger among other tribute bands. 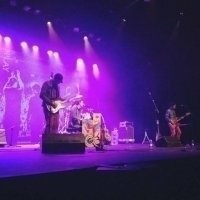 Its devotion for the hard work has brought the band to all different kind of stages, from private events to big audiences in big theaters or auditoriums. They have also played in different countries such as Spain, Andorra, France, Belgium, Nederland, Luxemburg, Germany, Romania and soon they’ll be performing in East Asia (Malaysia, Indonesia, etc). 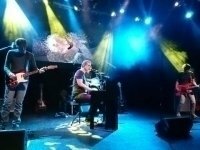 Best Coldplay Tribute Band brings to the stage all the magic of Coldplay’s music. During two hours you will enjoy all the atmosphere, emotion and energy of a real live Coldplay experience. 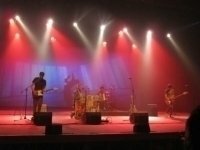 Stunning performance, lights, faithful scenography… everything and more from this Coldplay Tribute Band Show and more. They do all the great, popular tunes by Coldplay, from their very first album “Parachutes” to the brand new “Ghost Stories”. Faithful to the essence of Coldplay, the band stays true to Coldplay’s live performances. Hope to see you in the stands and…Let the show begin! After surfacing in 2000 with the breakthrough single “Yellow,” Coldplay quickly became one of the biggest bands of the new millennium, honing a mix of introspective Brit-pop and anthemic rock that landed the British quartet a near-permanent residence on record charts worldwide. The group’s emergence was perfectly timed; Radiohead had just released the overly cerebral Kid A, while Oasis had ditched two founding members and embraced psychedelic experimentation on Standing on the Shoulder of Giants. U.K. audiences were hungry for a fresh-faced rock band with big aspirations and an even bigger sound, and Coldplay were more than happy to take the reins. Parachutes went multi-platinum in several countries and earned the band its first Grammy, but Coldplay continued to grow into the 2000s, topping their debut album’s success with higher record sales.